DuPont Qualicon has added over 1,500 patterns to its RiboPrinter® System database, providing pharmaceutical and food companies, public health practitioners and epidemiologists with more of the information they need to identify contaminating bacteria in their production environments. With the DUP 2011 update, the RiboPrinter® System now contains over 8,500 RiboPrint™ patterns or “fingerprints” of bacteria in its onboard reference database. Many of these new patterns, such as Corynebacterium and Bacillus, are of significant value to the pharmaceutical sector. From a simple colony pick, the RiboPrinter® System produces a distinct genetic pattern that differentiates the bacteria at or below the strain level. Associated historical data determine where it came from and if it has ever been run on the system before. This enables users to map the baseline flora of their facilities and monitor change so that they can spot trends, track contaminating events to their source and perform targeted remediation instead of larger production shut downs. Along with the RiboPrinter® system, DuPont Qualicon markets the award-winning BAX® system, an innovative DNA-based technology for detecting pathogens and other organisms in food and environmental samples. With certifications and regulatory approvals in the Americas, Asia and Europe, the BAX® system is recognized globally as one of the most advanced pathogen testing system available to food companies. DuPont Qualicon science-based systems for pathogen detection and microbial monitoring, together with Danisco Care4U™ range of natural food protection solutions, help companies protect their products, productivity and brands. Thermo Fisher Scientific are offering a free trial of the DuPont Qualicon BAX® System Q7 for food laboratory customers in Europe. Ensuring that products are pathogen-free quickly and accurately is vital to food manufacturers and contract testing laboratories. PCR testing is rapidly becoming the gold standard in pathogen testing for its unrivalled sensitivity and speed. But if you thought PCR testing was too complicated, this free trial offer enables you to think again - try the BAX® System Q7 is to see how easy it is to use. With no centrifugation or washing steps required, sample preparation is simple. PCR reagents are tableted and preloaded to minimize pipetting steps. Intuitive user interface software means test set up and reading couldn't be easier. The BAX® System allows food laboratories to quickly and accurately detect organisms in raw ingredients, finished products and environmental samples. The cycler/detector allows you to load your prepared samples and walk away. Interpreted results are clearly displayed on-screen, with raw data easily accessible. Food testing laboratories around the world have made the BAX® system an integral part of their quality assurance systems due to its tremendous impact on their operations - from dramatically decreased false positives and minimized re-testing, to reduced employee training and faster product time to market. The speed and accuracy of DNA-based detection, including a license to perform PCR; the simplicity of a load-it and leave-it operation; the familiarity of a Microsoft™ Windows™ interface: The BAX® system combines all this, for smooth testing procedures at any stage in the processing pipeline. Assays for the BAX® System Q7 include: Salmonella, Genus Listeria, Listeria monocytogenes, Escherichia coli O157:H7, Staphylococcus aureus, Campylobacter coli/jejuni/lari, E. sakazakii (Cronobacter), Vibrio cholerae/parahaemolyticus/vulnificus, yeast and mould and coming soon, BAX® Real-Time STEC screening assay and confirmation panels. To see for yourself just how simple PCR can be, ask your local Oxoid representative about a free, no obligation, BAX® System trial today (*offer limited to 30 November 2011, terms and conditions apply, quote code OXP1). Seegene announced the commercialization of its second real-time assay based upon its new TOCE™ technology. The Anyplex™ II RV16 Detection Assay will provide clinicians with a powerful new tool to help prevent the spread of respiratory infections. The Anyplex II RV16 Detection Assay is the only multiplex real-time PCR (polymerase chain reaction) test that can simultaneously detect 16 of the most common respiratory viruses from a wide range of specimen types, such as nasopharyngeal aspirates and swabs, or bronchoalveolar lavage samples. Effective and economical, this Seegene assay sets a new benchmark for rapid respiratory disease screening. The Anyplex II RV16 Detection assay enables clinicians to simultaneously detect the presence of Influenza A virus, Influenza B virus, Human respiratory syncytial virus A, Human respiratory syncytial virus B, Human adenovirus, Human metapneumo virus, Human coronavirus 229E, Human coronavirus NL63, Human coronavirus OC43, Human parainfluenza virus 1, Human parainfluenza virus 2, Human parainfluenza virus 3, Human parainfluenza virus 4, Human rhinovirus A/B/C, Human enterovirus and Human bocavirus 1/2/3/4. "Anyplex II RV16 Detection assay gives clinicians an advanced tool for making fast, accurate and cost-effective respiratory diagnoses," said Dr. Jong-Yoon Chun, Chief Executive Officer of Seegene. "The key to controlling influenza epidemics is the time it takes to arrive at an accurate diagnosis. With the Anyplex II RV16 Detection assay we have reduced test turn-around time significantly so that physicians can now make optimal healthcare treatment decisions within hours, positively impacting both the health of the patient and the economics of the healthcare system." Viruses account for most upper respiratory tract infections, the most common infectious illness in the general population that can elicit a wide range of disease conditions. Infections can be highly variable depending on seasonal conditions with anywhere between 5% and 20% of a population affected during peak epidemics and mini-epidemics. The diagnostic role of PCR assays for influenza is growing, though their performance for routine clinical use has been limited until now by the turn-around time (TAT) required. The Anyplex II RV16 Detection assay directly addresses this challenge by dramatically reducing TAT to less than 4 hours. The Anyplex™ II RV16 Detection Assay is based on Seegene's recently introduced TOCE(TM) technology, which turns any real-time PCR instrument into a more powerful multiplexing platform. TOCE enables complex multiplexing in a single fluorescence channel, provides consistent Tm values regardless of the sequence variation of the target, and a level of sensitivity better than that of currently utilized probe-based singleplex real-time PCR assays. The Anyplex™ II RV16 Detection Assay is currently unavailable in the USA until regulatory clearance. Each year, food-borne pathogens cause an estimated 48 million illnesses (affecting one in six people), 128,000 hospitalizations and 3,000 deaths, according to the Centers for Disease Control and Prevention. Variant E. coli strains in ground beef and lettuce, Salmonella in turkey and chicken, and Listeria in cantaloupe and romaine lettuce have sparked widespread recalls due to contamination. The need for faster detection of harmful pathogens in food is evident. A rapid, reliable method that can test for multiple pathogens simultaneously gives food-safety assurance to farmers, food processors, distributors, retailers and ultimately to the public. The Crystal Diagnostics MultiPath System™ addresses this need. The novel technology, in development since 2006, uses liquid crystals to detect multiple harmful pathogens in food in a single test, offering significant time savings over the most common testing methods. Crystal Diagnostics is the exclusive licensee of fundamental liquid crystal biosensor technologies developed jointly by a research partnership between Kent State University and Northeast Ohio Medical University, previously known as the Northeastern Ohio Universities Colleges of Medicine and Pharmacy. Crystal Diagnostics technology includes two pieces of equipment. The first is a "cassette" containing five individual "cells," two of which are control cells and three are test cells. A prepared (enriched) sample -- from ground beef or lettuce, for example -- is mixed with liquid crystals and an antibody or antibody "cocktail" for the pathogen or pathogens being sought. The second piece is a "reader." The cassette is inserted into the reader. If the pathogen or pathogens being sought are present, the liquid crystal -- aligned in the reader -- will be disrupted. The reader recognizes this disruption and displays the result on an iPad or other device in less than 30 minutes. - A single test can detect multiple pathogens, for example, E. coli O157:H7 plus the other "Big Six" E. coli strains and the strain that appeared in Germany in early 2011. This capability is particularly relevant because the Food Safety and Inspection Service has announced it will require testing for E. coli strains other than O157:H7 beginning next year in beef trim used in ground beef. - In addition to these strains of E. coli, by utilizing the three cells in the cassette independently, the test can detect Salmonella, and another pathogen, such as Listeria, in the same test. - The nature of the technology very significantly reduces false positives and negatives even before the built-in protection of the two control cells is considered. False positives require longer product holds while retesting is accomplished; false negatives represent a different and a vastly more serious problem for food producers. "The need for faster yet highly reliable processes to detect pathogens has never been higher given the recent deadly food outbreaks," said Paul Repetto, CEO of Crystal Diagnostics. "In 2011, a new strain of E. coli appeared in Germany sickening thousands and killing some. Millions of pounds of meat have been recalled at great expense, and most recently 25 people died from Listeria contaminated melons. This new technology can have a profound impact on public health." This fall, the equipment will be further beta-tested in the field with leading food processing companies and laboratories. Quidel Corporation announced today that it has received 510(k) clearance from the United States Food and Drug Administration (FDA) for the sale of its Sofia™ Analyzer and its Sofia Influenza A+B FIA. Sofia is the brand name for Quidel's next generation immunoassay system. The easy-to-use Sofia Analyzer and Sofia Influenza A+B FIA combine unique software and fluorescent chemistry to yield an automatic, objective result that is readily available on the instrument's screen, in a hard-copy printout, and in a transmissible electronic form that can network via an LIS system to hospital and medical center databases. The Sofia FIA employs advanced lateral flow and immunofluorescence technologies to provide enhanced clinical sensitivity for influenza A and B. The Sofia Analyzer provides for different operational modes to accommodate both small and large laboratories, as well as other features designed to facilitate use in a variety of healthcare settings, including hospitals, medical centers, and small clinics. These features help ensure a reliable, objective, rapid, and accurate diagnostic result. "We are very pleased with the FDA clearance of our Sofia Analyzer and Sofia Influenza A+B FIA," said Douglas Bryant, president and chief executive officer of Quidel Corporation. "This announcement represents the achievement of a significant milestone, and positions us in the marketplace with a strategically important platform that will provide numerous benefits to healthcare providers and their patients." The Sofia Influenza A+B Fluorescent Immunoassay is the first in a series of new Quidel immunofluorescent assays for infectious disease and other conditions or disorders that will use the very same Sofia Analyzer. The 510(k) clearance grants Quidel permission to sell both the Sofia Analyzer and the Sofia Influenza A+B FIA in the United States in advance of the upcoming influenza and respiratory disease season. Both the Sofia Analyzer and the Sofia Influenza A+B FIA received the CE Mark in August 2011, and are thus already available for sale in Europe and other ex-U.S. locations, and they are now available for commercial distribution in the United States. bioMérieux, a world leader in the field of in vitro diagnostics, today announced it has received international recognition for two new solutions that will help protect consumers from food-borne illnesses. The VIDAS® Listeria monocytogenes Xpress (LMX) assay received approval from the AOAC Research Institute, while the VIDAS® UP Salmonella (SPT) kit is approved by the AFNOR Validation according to the ISO 16140 standard. These validations cover the testing of all foods. The rigors of these third-party validations provide food professionals with added assurance for high-performance testing standards. bioMérieux is committed to providing the food industry with high performance testing solutions like VIDAS® LMX and VIDAS® SPT, said Jean-Marc Durano, Corporate Vice President, Industrial Microbiology. We are pleased to receive international recognition for these two new solutions that will help make the detection of major pathogens more rapid and simple for our customers. The VIDAS® LMX assay is one of the most rapid, automated, easy-to-use solutions for the screening of L. monocytogenes in food and environmental samples. This new test provides a simple sample preparation, with minimal manipulations, resulting in an optimized laboratory workflow. VIDAS® LMX delivers results in as little as 28 hours, where traditional methods can take up to three days. 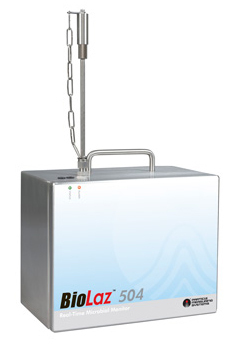 The VIDAS® SPT food safety solution, utilizing phage protein technology, is able to detect low levels of contamination by Salmonella and is one of the most rapid and easy-to-use diagnostic tools available for the screening of Salmonella in environmental samples, standard and large-size food samples. The technology provides an extremely simple, one-step sample preparation that reduces laboratory hands-on time, and delivers results in as little as 19 hours compared to reference methods which require up to three days. VIDAS® is the world's leading automated system for food-borne pathogen detection with tests for Escherichia coli O157 (Including H7), Salmonella, Listeria sp., Listeria monocytogenes, Staphylococcus enterotoxins and Campylobacter. VIDAS® and its compact version, miniVIDAS®, are multi-parametric systems using ELFA (Enzyme Linked Fluorescent Assay) technology, and based on a ready-to-use single-sample test concept. bioMérieux has been a global leader in providing innovative solutions to address food safety testing issues for more than 20 years. bioMérieux's food safety focus encompasses prevention, detection, and quality assurance. The company offers extensive global resources and local expertise in microbiology and food safety, driven by cutting-edge research and science to bring powerful new tools to the food industry. bioMérieux's food testing solutions, including prepared culture media, VIDAS®, TEMPO®, BacT/ALERT®, VITEK® 2 and DiversiLab® , reflect its commitment to improving public health through a safe and nutritious food supply accessible globally. Akonni Biosystems, a molecular diagnostics company focused on commercializing rapid sample preparation and molecular diagnostics systems for the detection of infectious diseases, and CUBRC, Inc., have been awarded a $774,000 contract by the U.S. Army to develop an automated sample preparation system for isolating biological threat indicators for downstream use with field-based detection systems. This award will enable CUBRC and Akonni to accelerate development of a family of disposable, rapid, multi-analyte extraction and purification products that utilize Akonni's TruTip technology for rapid solid phase extraction of nucleic acids and proteins. Under the contract, Akonni and CUBRC will design, manufacture, and test prototype systems to automatically extract nucleic acid and protein from a single source sample. Development of such systems is critical to the U.S. military for addressing the challenges that biological warfare and terrorism pose to the warfighter. By further simplifying the isolation technologies and removing the majority of manual steps, CUBRC and Akonni will design a system that provides a rapid, reliable, and standardized process for biological threat detection in the field. CUBRC's David Pawlowski, Ph.D., Principal Investigator on the contract, states, "We selected Akonni's TruTip sample preparation technology based on its ability to be integrated into a cartridge-based system and its proven performance in terms of speed, yield, and quality as determined in head-to-head evaluations against the industry gold standards. Akonni's best-in-class technology has the greatest potential to succeed in the field and save lives." "We are very excited to be collaborating with CUBRC and the U.S. Army on this project that will improve the armed forces' ability to rapidly identify infectious agents and ultimately save lives," states Kevin Banks, Ph.D., Vice President of Sales and Marketing at Akonni Biosystems. "In TruTip, we have a highly flexible approach for rapidly extracting nucleic acids, and now proteins, with high yield and purity, a technology that is easily integrated into both commercial off-the-shelf pipette tips and custom-built, cartridge-based systems." The Defense Threat Reduction Agency provided the funding for this program through the U.S. Army Research Office. The versatility of the Randox multiplex PCR and proprietary Biochip Array Technology is exemplified by the broad range of array formats available. These include: • SNP Genotyping: Based on an innovative primer design which can discriminate sequences which differ only at one base. - Gene Expression: Harnessing gene expression, particularly in a multiplex array, can provide a powerful insight into disease processes, such as cancer progression. - Pathogen Detection: For rapid, sensitive, multiplex detection of viral, bacterial and protozoan pathogens. - Mutation Detection: A rapid mutation profiling array, consisting of a highly multiplexed PCR coupled to hybridisation of target DNA sequences to spatially tethered probes on a biochip array. Our Sexually Transmitted Infection (STI) Array is capable of simultaneously detecting ten of the most common STIs from a single patient sample. STIs represent a serious public health issue and as many are asymptomatic, the risk of unhindered spread is increased. Simultaneous screening for multiple STIs will identify specific viral, protozoan or bacterial pathogens therefore permitting targeted therapy whilst also detecting secondary infections. The Respiratory Pathogens Array simultaneously detects up to 22 viral and bacterial infectious agents of the respiratory tract from Bronchoalveolar lavage, Nasopharyngeal swab, Sputum or Saliva. By detecting both viral and bacterial pathogens simultaneously, this array provides a rapid and more cost effective diagnostic tool than existing methods, the majority of which only look for single pathogens. Personalised cancer medicine based on genetic profiling of individual tumours is regarded as the treatment strategy of the future. In respect of this, Randox Molecular Diagnostics will soon be launching a KRAS/BRAF/PIK3CA Array for the rapid and accurate detection of mutations to stratify patients for anti-EGFR-targeted therapy. This is important, as recent clinical evidence indicates that in addition to KRAS mutational status, other molecular alterations such as BRAF and PIK3CA mutations can occur in a tumour, precluding response to anti-EGFR therapy. The University Teaching Hospital (UTH) has embarked on a project of evaluating new and practical tuberculosis (TB) diagnostic methods using a loop-medicated isothermal amplification (LAMP) which is said to be rapid, cost effective and simple does not require sophisticated equipment compared to the conventional method currently being used. The main objective of the study is to establish a new diagnostic method based on the LAMP using sputum and urine for the direct detection and differentiation of Mycrobacteria in clinic samples. UTH TB laboratory technician Charity Habeenzu said during the second scientific meeting for HIV/AIDS and TB diagnosis by LAMP at UTH last week that the new diagnostic method could also be used on various fields such as tumor detection and other bacteria. Ms Habeenzu said the LAMP method currently at the learning stage in the UTH TB laboratory should be improved. She said the LAMP method would only take a day to diagnose TB compared to conventional method, which take about three weeks and it is user friendly as it could be performed in a simple laboratory. And UTH Head of Pathology and Microbiology Victor Mudenda in his closing remarks at the same function said the LAMP method would assist in quick TB diagnosis and treatment thereby reducing on the number of cases. Dr Mudenda said the hospital was looking for such early and cheaper diagnosis because many people were still dying from TB. “LAMP would help answer many of the questions raised on how to reduce the TB burden in Zambia,” he said. The new method would assist in preventing others from getting infected as it would provide for quick TB diagnosis. He called on the young scientists to be part of such important research in future that aims at enhancing good health in the country. SDIX™ announced that its RapidChek Listeria F.A.S.T.™ test system earned Performance-Tested Methods (PTM) certification from the AOAC Research Institute. The AOAC PTM certification validates RapidChek® Listeria F.A.S.T. as equivalent to the USDA Food Safety Inspection Service's (FSIS) 48-hour methodology for detecting all 6 Listeria species on environmental surfaces, including stainless steel, rubber, plastic and concrete. The F.A.S.T. system, Fast -- Accurate -- Sensitive -- Technology, is designed to provide food processors with the benefits of reduced material and processing costs as well as enhanced workflow. According to the USDA FSIS, dozens of food product recalls within the last 3 years could have been prevented if the industry routinely followed the "test and hold" practice. Furthermore, the USDA FSIS estimates that from 2007 to 2009, 44 recalls of meat and poultry products could have been avoided if this process had been followed as standard practice across the food industry, and that approximately $46 million per year could have been saved by the industry. With "test and hold" now in place, many processors are moving from traditional 40-48 hour Listeria methods to faster, 24-hour rapid methods due to storage and spoilage costs. Deborah McKenzie, Senior Managing Director of the AOAC Research Institute said, "The AOAC Research Institute provides an independent third-party evaluation of methods. Methods that demonstrate performance equivalent to or better than the reference method are approved and certified as AOAC Performance Tested Methods(SM). This approval means that the SDIX RapidChek® Listeria F.A.S.T.™ method not only demonstrated the ability to perform equivalent to or better than the FSIS reference method, but that for the first time in the AOAC Performance Tested Methods(SM) program, the method evaluation included a required confirmation of all test portions analyzed by the SDIX method with the FSIS reference method confirmation procedure." Tim Lawruk, Food Safety Market Manager at SDIX, said, "Competitive AOAC PTM-certified, 24-hour Listeria rapid tests, while promoted as `24-hr test methods', actually require up to 2-5 hours of additional analytical time after initial enrichment to obtain test results. The SDIX RapidChek® Listeria F.A.S.T.™ test system enables producers to comply with USDA `test and hold' requirements, while achieving 2-5 hours faster time-to-result, equivalent accuracy and excellent ease of use. During development of this product, we worked with five of our customers to validate our method. All of these customers recognized overall cost savings in their testing operations up to 50%, resulting from improvements in laboratory and processing efficiencies." Mr. Lawruk went on to say, "The SDIX method is also the only AOAC-certified 24-hour Listeria test to meet AOAC's newest confirmation requirements, which further challenge the method by extending the confirmation protocol an additional 24 hours to verify detection of stressed and injured Listeria cells, further ensuring consumer safety." Rapid Micro Biosystems, a leading provider of automated, non-destructive, rapid microbial detection, today announced the exercise of the second year contract option by the Biomedical Advanced Research and Development Authority (BARDA) for the development of rapid sterility testing for vaccines as part of BARDA's Science and Technology Platforms Applied to the Medical Countermeasure (MCM) Development program. Rapid Micro Biosystems will receive $2.1 million for the second contract year. The second contract year runs through Q3 2012 with a final option available for funding a third contract year at $2.4 million. "We are excited to continue our relationship with BARDA," said Steve Delity, Chief Executive Officer of Rapid Micro Biosystems. "Rapid Micro is the leader in automated rapid detection, and we have made great strides in our ongoing development of a solution to help with pandemic response." "The development of the rapid sterility products is progressing very well," said Sarath Krishnaswamy, Vice President of Research & Development. "Using our unique detection technology, we already have exciting test results that start to show contamination detection within hours and provide final enumeration results in 50% of the time of the traditional 14 day test." Reducing the time-to-release of vaccines or other biopharmaceutical countermeasures will facilitate the prevention and control of epidemic diseases like influenza, other emerging infections and agents of bioterrorism. Faster microbiological quality control (QC) testing will reduce the release cycle of vaccines by as much as two to four weeks. Micro Imaging Technology, Inc. announced today the volume availability in early 2012 of the MIT 1000A. The System, manufactured exclusively for MIT by Hawthorne, CA-based OSI Optoelectronics, Inc., is a stand-alone optically-based microbial identification system that uses proven principles of physics in conjunction with proprietary PC-based software and is totally USB compliant. The thoroughly green system can currently identify over twenty different species of bacteria without the use of chemicals, reagents, dyes or DNA processing. The only additive is clean water and a sample of the unknown bacteria. In addition to bacteria other microbes can be easily added to the System's identifying capabilities, including; protozoa, fungi, yeast and mold. The MIT 1000A can complete an identifying test in less than five (5) minutes and with a material cost of pennies -- adding further credence to MIT's claims of being able to annually save thousands of lives and tens of millions of dollars in health care costs. As further explained by MIT's Chief Scientist, David Haavig, PhD, "The MIT 1000A is a natural evolution from our earlier MIT 1000 System, without changing the basic science -- but with specific added capabilities. The USB connectivity enables the instrument to attach directly to the user's PC and allows the software operating system and microbial identifiers to be provided separately by MIT." As previously mentioned, over ninety percent of all infectious food contaminations are caused by E.coli, Salmonella or Listeria - which annually causes hundreds of deaths and thousands of hospitalizations. Also the recall of millions of pounds of processed meats, dairy, fish and poultry products and numerous crops of lettuce, spinach, peppers, peanuts, melons and tomatoes. The Company's objective is the continual expansion of MIT's proprietary Microbe Library -- the repository of the identifiers for bacteria and other microbes. 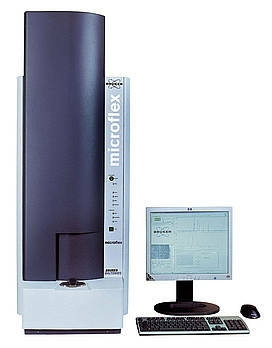 The process for entering a microbe identifier is to evaluate the specie in MIT's Laboratory with hundreds of thousands of measurements and statistically prove the uniqueness of the identifier. That identifier is then compared with other datum and then added to the Microbe Library. Celsis Rapid Detection announces the addition of a Staphylococcus aureus kit to the Celsis ReACT™ family of rRNA-based microbial assays used for the rapid detection of objectionable organisms. ReACT is a secondary assay used as a follow-up to positive Celsis AKuScreen™ assay results. The primary Celsis AKuScreen assay confirms the absence of bacteria, yeast and mould in as few as 24 hours, enabling the rapid release of 'in spec' product into distribution days faster than traditional microbiological methods. On those limited occasions when the AK assay indicates contamination, ReACT provides critical information about the nature of the event in just two hours, allowing for a rapid response and corrective action. "When contamination is detected in a typically clean production process, you need to know the source and if it is an objectionable organism, and you need to know fast," explains Judy Madden, Vice President of Strategic Development. "Together, AKuScreen and ReACT are a one-two-punch that allows for the simple and efficient rapid release of product when production goes as planned and rapid response when something goes wrong." The Celsis ReACT GramNegative assay provides a yes/no answer about whether the contamination is by a Gram-negative organism. It has been validated extensively by a global consumer products company and is now in use at a number of facilities worldwide. The new Celsis ReACT StaphAureus assay selectively screens for S. aureus. It was developed at the request of Celsis customers who identified S. aureus as an objectionable organism that, if present, would affect product release. "Based on innovative molecular technology, the Celsis ReACT assay targets the unique rRNA signature of a species or group of microorganisms," explains Andy Hearn, Senior Scientist at Celsis. "Streamlined protocols help avoid the risks associated with typical molecular methods and make ReACT the easiest-to-use RNA system out there." Celsis also offers a ReACTion Custom Probe program to develop assays for product- or facility-specific bugs or strains. Particle Measuring Systems Offers Their Innovative Instrument, the BioLaz™ Real-Time Microbial Monitor for Rapid Detection of Airborne Biological Organisms in Controlled Environments. The BioLaz™ Real-Time Microbial Monitor provides immediate notification when biological particles are present and real-time verification of biological activity levels during aseptic manufacturing or other operations. This significantly improves the ability to demonstrate control over clean environments. The BioLaz integrated with traditional methods, Agar plates and particle counters, can lead to improved compliance and potential cost reductions. Particle Measuring Systems provides turn-key systems with traditional particle and microbial monitoring, combined with rapid microbial detection into one complete environmental monitoring solution. Please visit our web site at www.pmeasuring.com to view an introductory video detailing the BioLaz™ Real-Time Microbial Monitor’s operations and capabilities. Particle Measuring Systems is the global leader in environmental monitoring technology, with 40 years of experience providing solutions for particle and microbial monitoring for companies with cleanroom manufacturing environments. As the inventor of laser-based particle counters, Particle Measuring Systems sets the standard for particle monitors in pharmaceutical, nanomaterial, aerospace, integrated circuit and electronics manufacturing. Bruker Daltonics will be present at booth #27 in the exhibit hall to provide information about their revolutionary MALDI TOF for rapid microbial identification. Stop by to see the system in action and to hear about their latest study results and other news. To help answer key challenges in Clinical and Pharmaceutical Microbiology, Bruker has utilized its many years of experience in MALDI-TOF mass spectrometry to create the truly ground breaking MALDI Biotyper system, based on its market-leading MALDI-TOF mass spectrometers. With its combination of performance and utility, the MALDI Biotyper has changed the way microbial identification is done in laboratories around the world. 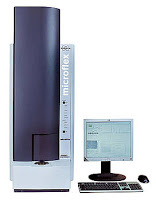 The MALDI Biotyper identifies microorganisms using MALDI-TOF (Matrix Assisted Laser Desorption Ionization-Time of Flight) Mass Spectrometry to measure a unique molecular fingerprint of an organism. Specifically, the MALDI Biotyper measures highly abundant proteins that are found in all microorganisms. The characteristic patterns of these highly abundant proteins are used to reliably and accurately identify a particular microorganism by matching the respective pattern with an extensive open database to determine the identity of the microorganism down to the species level. DuPont Qualicon has introduced the BAX® System STEC Suite, a trio of real-time PCR assays that enable food processors, reference labs and government labs to rapidly and reliably detect the Shiga toxin-producing E. coli (STEC) most frequently associated with severe foodborne illness in the United States. This suite of food safety tests was developed in collaboration with the Agricultural Research Service of the United States Department of Agriculture (USDA ARS) and is closely aligned with the testing approach used by the Food Safety and Inspection Service (USDA FSIS). The BAX® System screening assay detects a combination of virulence genes – called stx and eae – to quickly and cost effectively clear negative samples in the production line. Two multiplex panel assays can determine which of the top six non-O157 STEC serogroups – O26, O45, O103, O111, O121, O145 – are present in positive samples. The USDA has recently declared these pathogenic serogroups as adulterants in non-intact beef, and FSIS will begin enforcing a zero tolerance policy in March 2012. Food processing companies around the world rely on the BAX® System to detect pathogens or other organisms in raw ingredients, finished products and environmental samples. The automated system uses leading-edge technology, including polymerase chain reaction (PCR) assays, tableted reagents and optimized media to detect Salmonella, Listeria, E. coli, Campylobacter, Vibrio, and more. With certifications and regulatory approvals in the Americas, Asia and Europe, the BAX® system is recognized globally as one of the most advanced pathogen testing system available to food companies. DuPont Qualicon science-based systems for pathogen detection and microbial monitoring, together with Danisco Care4U™ range of natural food protection solutions, help companies protect their products, productivity and brands. Life Technologies Corporation today announced the Applied Biosystems QuantStudio(TM) 12K Flex Real-Time PCR system, a highly versatile genetic analysis instrument that enables cost-effective and efficient interrogation of hundreds of target genes over thousands of samples in a single run. The growing demand of biomarker screening experiments, particularly in the early research phases of pharmacogenomics and agricultural biotechnology fields, has created a greater need for high-throughput technology that can provide answers for researchers faster, more accurately and at a reasonable price per reaction. The QuantStudio(TM) 12K Flex system addresses this with its ability to generate more than 12,000 high-quality, TaqMan® data points per run, or up to 110,000 data points in an eight-hour workday. Users can also run digital PCR experiments on the instrument using nanofluidic consumables and dedicated analysis software for increased sensitivity and specificity. "The QuantStudio provides an excellent solution for accurate, high-throughput and cost-effective genotyping, which is critical to the success of research in my laboratory," said Nathan Treff, Ph.D., Director of Molecular Biology at Reproductive Medicine Associates of New Jersey. "This all-in-one device is a perfect streamlined solution to make rapid progress toward our primary objective of improving the success of in vitro fertilization. The QuantStudio will simplify our workflow and reduce the amount of time spent on generating data." Applications such as pharmacogenomic testing, for example, are enabled at a more cost-efficient price point because of the nanoliter volumes required to conduct experiments on the QuantStudio(TM) 12K Flex OpenArray® plates - saving both reagent costs and precious samples. Hands-on time to prepare the plates before each experiment is drastically reduced using a new workflow enabled on the fully automated OpenArray® AccuFill(TM) System, which eliminates manual OpenArray® plate handling and labor-intensive pipetting. The QuantStudio(TM) 12K Flex system is also ideally suited for rapid, large-scale pathogen detection applications to quickly screen food samples during public health situations such as the recent Listeria and E. coli outbreaks in the United States and Germany, respectively. For plant breeders, the ability to reliably link biomarkers to desired traits, such as drought-resistance and high yields, is expected to accelerate crop improvement efforts. Life Technologies' new flagship PCR instrument eliminates the need to purchase multiple qPCR platforms that take up limited space in the laboratory. The QuantStudio(TM) 12K Flex system takes an all-in-one approach by accommodating any one of five different interchangeable blocks (OpenArray® plates, TaqMan® Array Card, 384-, 96 fast- and 96-well plates) to match the size and type of experiment. "The QuantStudio 12K Flex system serves as an ideal complementary platform to next-generation sequencing," said Mark Stevenson, President and COO of Life Technologies. "While sequencing elucidates the unknown in a genome, the QuantStudio efficiently validates that data through broad screening of limited marker sets -- providing a powerful and flexible tool for researchers performing large-scale genotyping or gene expression experiments on a daily basis." Belfast Health and Social Care Trust has licensed its novel rapid meningitis diagnostic test to HiberGene Diagnostics Ltd, a start-up client company of NovaUCD, the Innovation and Technology Transfer Centre. The licence grants HiberGene exclusive rights to commercialise the product worldwide. Diagnosis of meningitis is notoriously difficult, with ambiguous flu-like symptoms initially, which make early diagnosis very challenging. Standard laboratory tests take at least 24 hours, and there is a need for rapid, sensitive and specific tests to allow earlier confirmation of the diagnosis and earlier treatment. The new test, which provides a reliable diagnosis in less than one hour, was developed by scientists in the Royal Victoria Hospital laboratories. The test uses an emerging molecular method known as loop-mediated isothermal amplification (LAMP) which is a form of rapid polymerase chain reaction, to provide the result. The new test has the potential to be used in emergency departments instead of hospital laboratories and is currently being evaluated at the Royal Belfast Hospital for Sick Children. Consultant Paediatrician Professor Mike Shields led the original research project, which was supported by grants from the Meningitis Research Foundation to Queen’s University Belfast and the HSC R&D Division, Public Health Agency, to the Belfast Trust. HiberGene is also currently working on a series of additional molecular assays to rapidly detect pathogenic micro-organisms. HSC Innovations, the technology transfer office for the Northern Ireland Health and Social Care service, patented the invention and facilitated the deal with HiberGene. IQuum, Inc. announced that it has received U.S. Food and Drug Administration (FDA) 510(k) clearance to market the Liat™ Influenza A/B Assay and the Liat™ Analyzer. This molecular diagnostic test is an automated sample-to-result multiplex real-time RT-PCR assay for the detection and discrimination of influenza A and influenza B in approximately 20 minutes. The test is intended for use in laboratories certified under the Clinical Laboratory Improvement Amendments (CLIA) to perform "moderate complexity" tests, enabling its use in hospital labs or other near-patient settings. Influenza is a highly contagious acute respiratory illness that affects between 5% and 20% of the U.S. population each year, leading to more than 200,000 hospitalizations and as many as 49,000 deaths, according to the U.S. Centers for Disease Control and Prevention (CDC). Influenza A, including subtypes A/2009 H1N1 and H3N2, and influenza B, are considered to be the predominant seasonal influenza viruses. Current near-patient influenza testing is performed using rapid immunoassays. However, studies have shown that such immunoassays have a sensitivity of only 10-70%. The Liat Influenza A/B Assay is currently the only test that has equivalent or better sensitivity and specificity as current lab-based nucleic acid tests, while substantially matching the time-to-result and ease-of-use of rapid immunoassays. Having an operator hands-on time of less than 1 minute and a total time-to-result of approximately 20 minutes, the Liat test can be performed on-demand in hospital near-patient settings, providing physicians with accurate and timely results. The Liat system integrates multiple intelligent features, such as sample volume metering, on-board internal control, advanced error diagnostics, and automated data interpretation to ensure the quality of results when operated by minimally trained users. The Liat Influenza A/B Assay and the Liat Analyzer are also available as a CE IVD Mark product under the European Directive on In Vitro Diagnostic Medical Devices. Bio-Rad's $162 million acquisition of digital PCR shop QuantaLife, announced yesterday, is expected to complement and expand Bio-Rad's existing PCR and quantitative real-time PCR portfolio, and may provide the company with an additional feather in its cap as it moves into the molecular diagnostics arena, a company executive said this week. And, according to at least one industry analyst, the "atypical" acquisition for historically "conservative and risk-averse" Bio-Rad provides the company entrée into a digital PCR market expected to exceed $100 million annually within three years. The acquisition also gives Bio-Rad the first commercially available emulsion microdroplet-based technology for digital PCR, QuantaLife's recently launched Droplet Digital PCR system, to compete with currently marketed microfluidics-based commercial dPCR platforms from Fluidigm and Life Technologies. Another potential competitor is RainDance Technologies, which shares some emulsion PCR IP with QuantaLife and is targeting early 2012 for a digital PCR platform launch. Brad Crutchfield, group vice president of life sciences at Bio-Rad, said that the company sees QuantaLife and its digital PCR technology as "very important toward expanding" its position in qPCR and PCR in general. "We do not see [digital PCR] necessarily as a direct alternative to qPCR," Crutchfield said. "Over time we will see people shift to that. But we see it now moving [Bio-Rad] into a broader spectrum of applications and, in a sense, expanding our market capability. QuantaLife announced the full commercial launch of the Droplet Digital PCR system in late June after having beta-tested the system since late 2010. The system, which sells for approximately $50,000, comprises a droplet generator that divides each biological sample to be tested into 20,000 1-nL droplets that can then be transferred to well plates and amplified using qPCR. The system also has a separate droplet reader, where the droplets are streamed past a two-color fluorescence detector that reads each droplet as either positive or negative for target nucleic acid molecules; as well as dedicated analysis software. Recently the USDA announced that Escherichia coli serogroups O26, O103, O45, O111, O121 and O145 will be declared adulterants in non-intact raw beef. FSIS will begin testing for these six serogroups of Shiga Toxin-producing Escherichia coli (STEC) and enforcing the new policy on March 5, 2012. Initially testing will focus on trim, before expanding to include other ground beef components and ground beef. Food Safety Net Services (FSNS) has performed comprehensive STEC testing with a variety of clients and have become proficient in testing for the six E. coli serogroups known as STEC. FSNS is a food safety partner committed to providing expert resources and unsurpassed results at the highest quality of service. There are a number of methods currently available for testing the non-O157 STEC Top 6 in beef. Currently, FSNS offers STEC testing through various rapid detection systems such as Dupont Qualicon BAX, and BioControl GDS. “Food Safety Net Services is committed to providing our clients all our resources to help them through this new regulation. FSNS is actively evaluating additional systems and methods to provide clients with the best option currently in the market,” said Gina Bellinger, President of Food Safety Net Services. FSNS has the flexibility and capacity needed to work with companies and accommodate trial runs for the non-O157 STEC testing. FSNS is equipped to assist clients through this process to ensure that they are prepared for the new beef testing regulations by providing insight to STEC prevalence in their beef products. This information will present the opportunity to proactively reevaluate current HACCP/Quality systems and minimize the impact of the March 5, 2012 deadline. Food Safety Net Services, based out of San Antonio, TX is a nationwide network of ISO-accredited laboratories open 24/7/365; auditing and consulting services which helps improve the effectiveness of food safety and quality programs. FSNS experts help ensure that food safety and quality programs deliver the critical information needed to continually improve process controls and measurement systems. With 7 accredited laboratories nationwide, FSNS provides National Expertise with localized service. BIOTECON Diagnostics have introduced a new real-time PCR-based quantification kit to its product line of foodproof® GMO kits. Most important maize events and hybrids (e.g. Bt11, Bt176, MON810, MON863, NK306) contain the 35S promoter from the cauliflower mosaic virus (CaMV). The new “foodproof® GMO 35S Maize Quantification Kit, 5‘Nuclease” detects and calculates the amount of all genetically modified maize containing this 35S promoter. The real-time PCR kit allows quantification with high sensitivity: a relative amount of 0,1% or more genetically modified maize DNA can be determined. The kit is applicable on all real time PCR instruments based on the 5´Nuclease technology. Final results can be obtained within less than two hours upon sampling, including DNA extraction on food and feed samples as processed with the well established foodproof® GMO Sample Preparation Kit. Life Technologies Corporation have signed an agreement with Quidel Corporation to distribute and commercialize molecular diagnostic assays for the European market. The deal represents Life's continued growth into the diagnostics space. The agreement calls for Life Technologies to sell Quidel's current and future assays in Europe, where Life has a broad established distribution network. Beginning in October, Life Technologies will distribute the Quidel® Molecular Influenza A+B Real-Time RT-PCR Assay and hMPV (human metapneumovirus) kits to European markets. The kits offer both performance benefits and workflow benefits over currently available tests. The influenza kit was shown to be more sensitive and specific than the comparator assay in a trial with more than 600 samples. The workflow has been improved by allowing for refrigerated storage rather than freezer storage, one-step reagent setup, and fast qPCR cycling resulting in answers 75 minutes after sample preparation. Both kits are for use with Life's 7500 family PCR Instruments, which are installed in hundreds of clinical diagnostic labs across Europe. The Quidel® Molecular Influenza A+B Real-Time RT-PCR Assay and hMPV kit are CE-marked. Later in 2011, Life Technologies and Quidel expect to launch additional infectious disease kits to the European market.